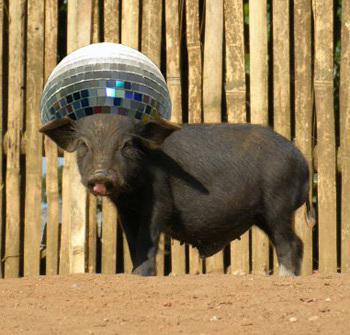 Disco Pig – it’s Noo Year’s Eve, innit! Aiiieeeee hoof, hoof, hoof… yes folks it’s the biggest night of the year innit! 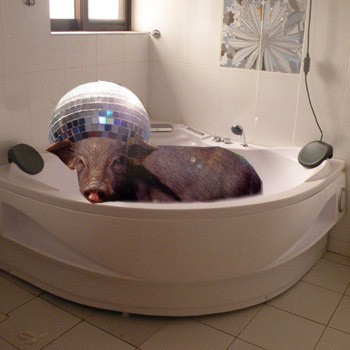 Disco Pig is back with the beats from the renegade master – dey told me I can’t play bass and dat I can’t play drum, but I am ere to tell ya that I’m here actually innit. I’m not a Yankee, I’m a Londoner innit, and on da playground was were I spent most of ma dayze. I got in one little fight and Mrs Disco Pig got scared so she sent me to my Auntie and Uncle’s in Walfamstow innit! 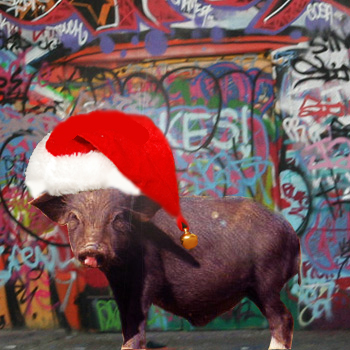 Anyway, der fond trips dahn memory alley asides, Disco Pig is ere to give ya all the bangiest playlist for da bangiest night of the year – Noo Year’s Eve, innit! 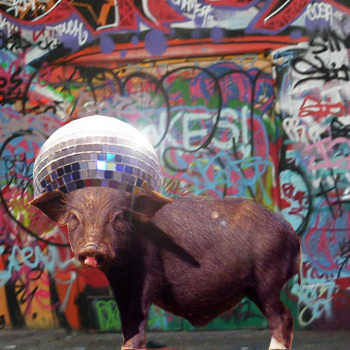 Disco Pig was in da big demand dis year and as had to turn down some big gigs, including one at dat O2 in his home tahn of Londan innit. Stoked though, cos I is now rocking the bins at Biffordshire’s biggest nightclub – Da Sugar Shed, just outsida of Moistbury on da A67, if you go past der Lamb and Foreskin pub you has gone too far innit. Turn around and hed back a bit, bit more, on da left innit. Yes, da place wiv da big sign up at the front. Seriously d’oh Disco Pig is all loved up an dat so it would have to be somefink special to turn his eyes onto anover lady pig innit. Like a couple of drinks and some heavy petting behind da stage innit! Disco knows you ladies will be forming an orderly queue to get ya hoofs on dis bit of quality bacon, but I ain’t bovvered. Da lady I as is da love of me life innit – plus her gran is a lovely lady piggy. She was in da war and all dat. She was an air-raid piggy – ad to squeal when she saw any of dem Nazi planes and dat flying overhead – pwoper hero she was. Her passing, if it should come to dat, would be a sad day in da Disco household innit… mind you she’s facking loaded so let the good times and da turntables roll! Anyways, listen to me cracking on about nuffink – I has got some vinyl to dig out for tonight’s sugar shed shenanigans! Get der early Pig fans it’s going to be a crackling night of porky phat phun! Eric Pickles and the Cheese Crew – Leave it Barry, let’s just all have a drink yeah? The Kebab Krew – You want everything on, boss? Schlump, schlump, schlump, weep, weep, WEEEP! Big greetings to ya ma’ tribe of trotterlytes! It’s ‘da’ pig comin’ atcha like a tube o’ Smarties. Last week, Disco Pig been helping out his blud, Plumbing Pig, puttin’ in some on-suites in a swanky development in da’ ‘burbs. It was haaaard work and I been sufferin’ with grout-snout ever since. Na’ cool at all. Anyway, we got tru it listening to some choice tunz on the ghetto blaster. Check out deez beday bangers! 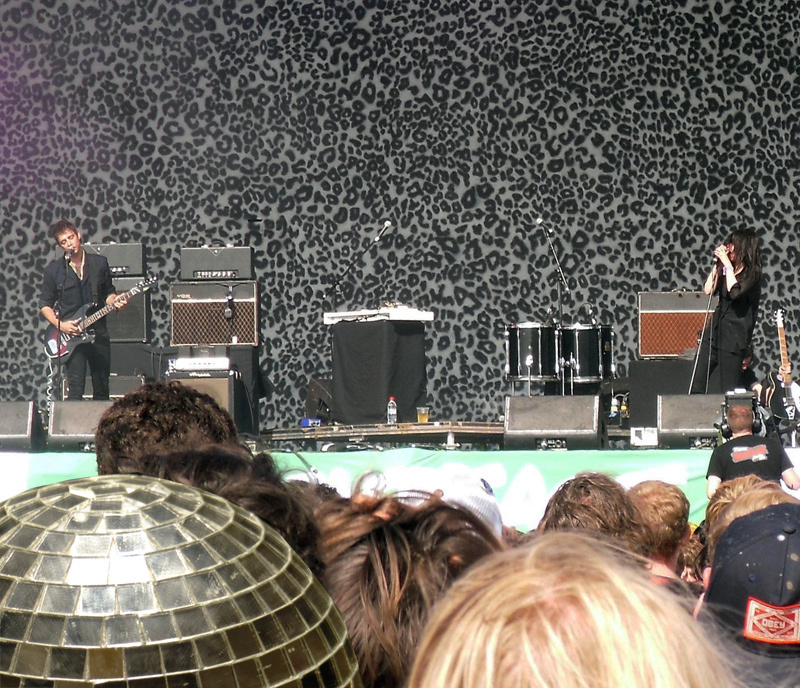 Attic Spades – What’s your shed at? La Rochelle – Où est la plage? Woop woop piggy swiiiiinnnnggg piggy piggy. Know dat. Yeah dat’s right, da pig is here, bangin on ya ears like a massive snowman of tuuuuuunes! What I mean bruv! Disco pig, he been layin low for a coupla weeks. Da Solid Hog Crew, dey bin movin in on me patch and kickin up a whole heapa trouble wit ma bruvahs. I been planning a comeback of biblical size man! Gonna hit em wit some of my favourite snout bangers on da weekend. Dem bruvas not gonna know wat hit em! Turn up these tooooooons! Unsolicited Calls – Don’t hang up! He ain’t nickin’ no Sony X-Plods! Tinchy Temper – It takes a lot to get me cross, but when I go.. goodness me! The Muggs – Are you mugging me off in the mug shop, mug? Gum Rash feat. DJ Corsodyl – Can’t eat my vegetables can I go to Bicester now? Mmmm… well ,quite. 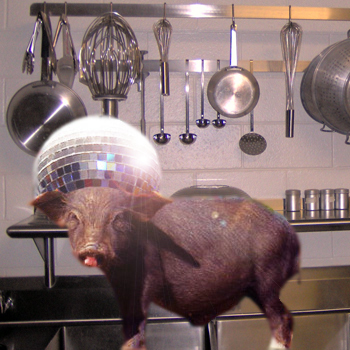 More phat-tuned porcine piggery-jokery next time folks…..